Think Titanic meets Rome as the roof blows off the world. 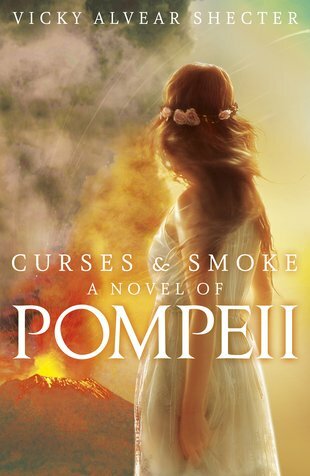 Two star-crossed lovers; one fiery romance that gives that volcano a run for its money. Don’t stand too close: sparks WILL fly. Pompeii. Nearly 2000 years on, its story still makes us tremble. An eruption so vast it wipes two great cities from the face of the Earth. All those people, all those frozen bodies, had their own stories. Hard to imagine – until now. In the shadow of the doomed mountain, a forbidden passion sparks. A noble girl and a slave boy fall in love. As the ground begins to shake, he is thrown into prison. Can they find each other again before their world explodes? So far it is really good if your like me you would prefer it. I just got it from the scholastic book club catalogue a few days ago and I’m loving it. Lucia and tag should be together and I’ve read a few chapters so far because they are quite short and I just want to keep reading and finis the book. I would say the blurb is a spoiler and the front picture the first time you look at it you find out quite a lot. It was horrible what happened in Pompeii with the horrific erupting volcano bursting lava everywhere and destroying the town, people and everything else left in its past. The few people that survived were lucky and and remained to tell the story of the deaths of their friends, family and villagers and are trying very hard to rebuild their town, houses and etc. It is a true story of two star-crossed lovers fighting for freedom and locked in a blinded wall of love and friendship with a sea of hatred and difficulty. Will they survive in time and help each other when the volcano erupts? A beautifully written book about a tragic event. Oh my god can’t wait to read! !